I don’t know about you, but I love potatoes. I used to dislike them, EVEN FRENCH FRIES. But I guess one morning I woke up and realized just how much potatoes could be tasty. So now…well…we eat potatoes all the time. I think my favorite way to prepare them is plain and simple : just in the oven. This is probably one of the easiest recipes I’ll ever put up on this blog because it isn’t even a recipe really – you don’t need to measure anything per se, you just need to plop everything together, open and close the oven door, and wait. It’s brilliant. 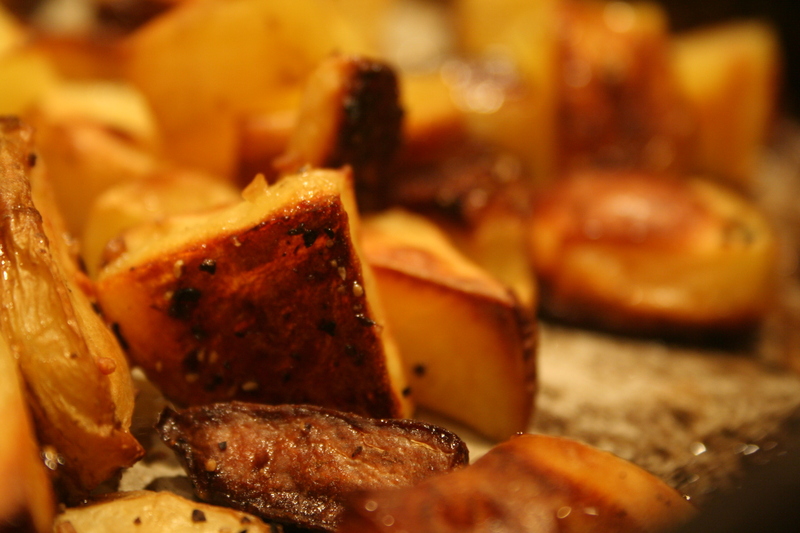 Akin to homefries, these potatoes will have a crispy outside and a soft inside, bursting with flavor from the seasoning used. They are good alongside eggs in the morning, or in a salad, or accompanying a steak…chicken…pork…whatever meat you like. My roommates will just nibble them plain with no garnish. 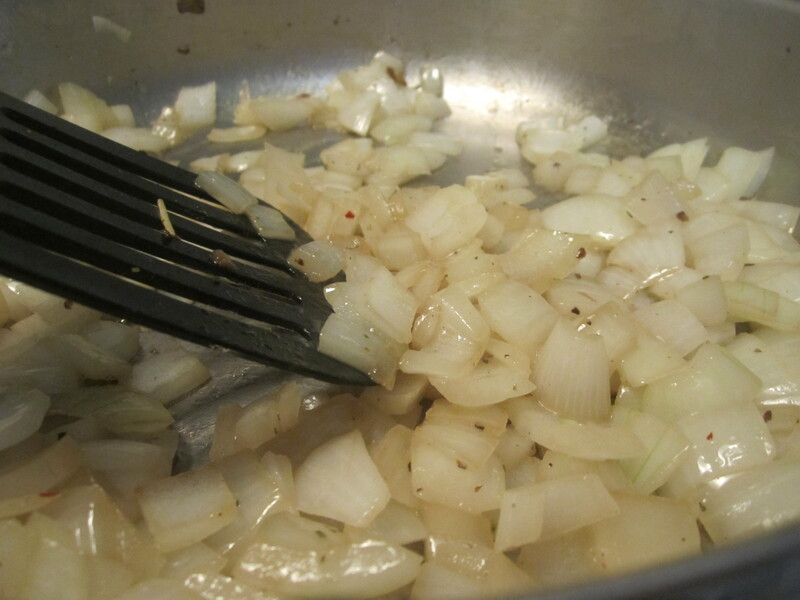 Often, I make them with onions in the pan as well. The same recipe works for sweet potatoes – I just don’t have photos for that – but literally, follow the exact.same.instructions for sweet potatoes and the end result will be just as delicious. Seasoning – I use McCormick’s Montreal Steak seasoning and I highly recommend it. Potatoes – as many as you think you and yours will eat. Preheat the over to 425F. Nice and hot. On a jelly roll pan (I like to use this pan because it has slightly raised sides to prevent the potatoes from moving. 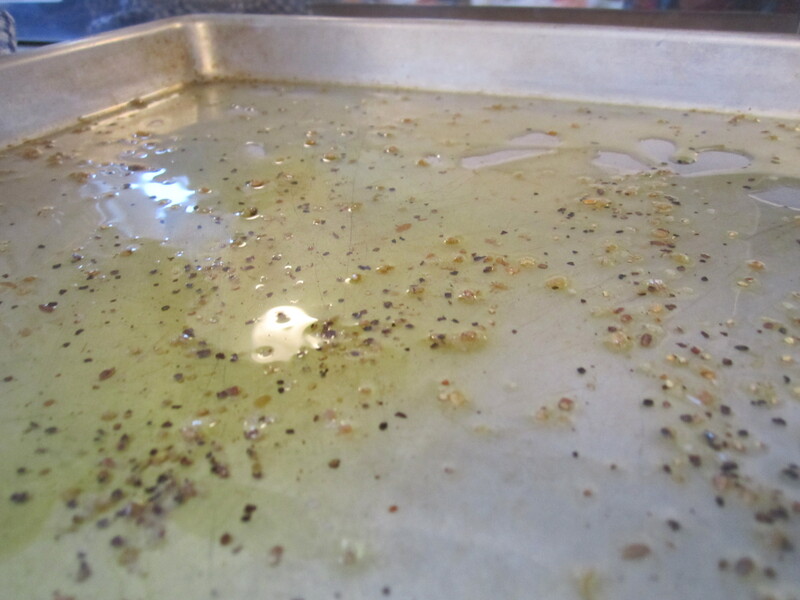 You can also just use a baking sheet – just be careful – or an oven/brownie pan that has really tall sides. 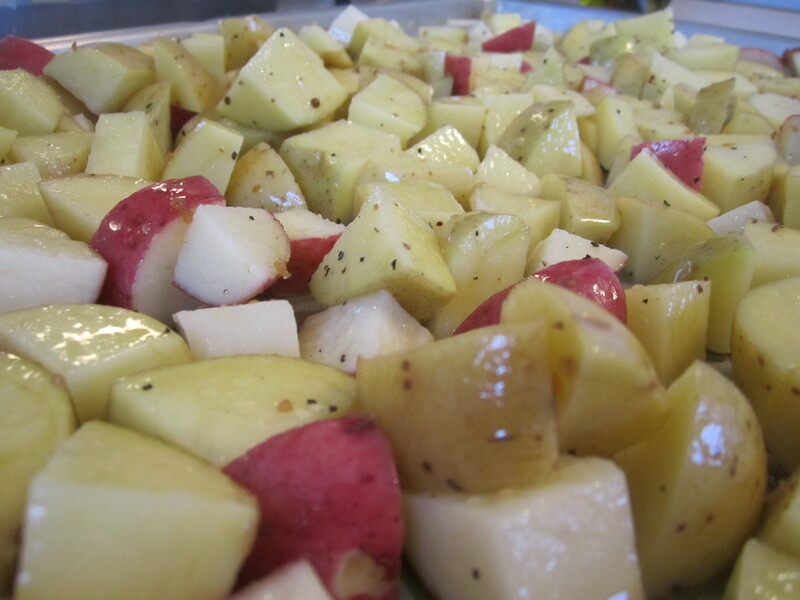 The potatoes aren’t particular), pour out enough oil to thinly cover the bottom. Sprinkle with seasoning. Wash your potatoes and cut off any suspicious-looking growths. Potatoes like to sprout…and that’s all fine and dandy until you want to cook them…then those sprouts have got to go. 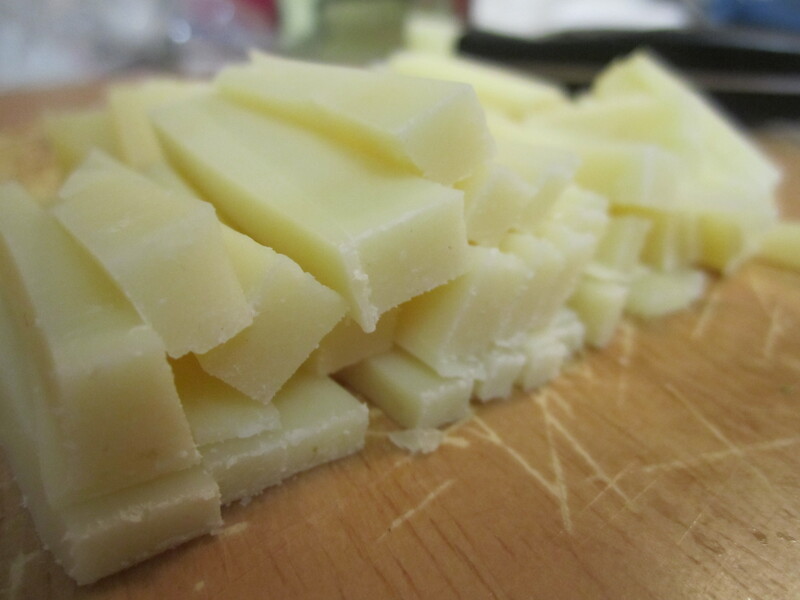 Place on a cutting board and cut into chunks. I do this by first cutting them in half, then slicing each half into six pieces (one cut the long way, three cuts the short way). 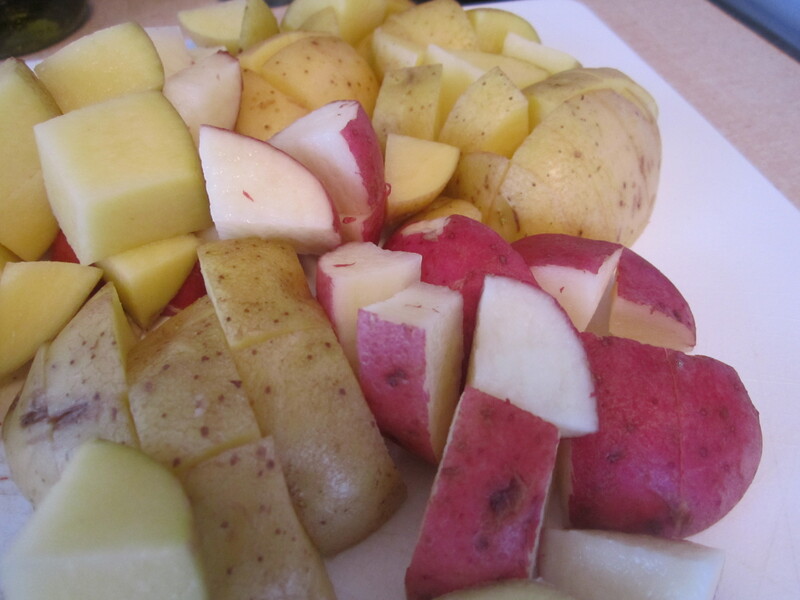 Also – I tend to use yukon gold or redskin potatoes because they are softer/have a nicer texture. You could do this with fingerling or other thin-skinned potatoes, but don’t go trying this with that ole Idaho potato you bought to try and be healthy. Not a wise choice. Chop all of your potatoes up and they should look somewhat uniform in size. This will create a more even cooking time. 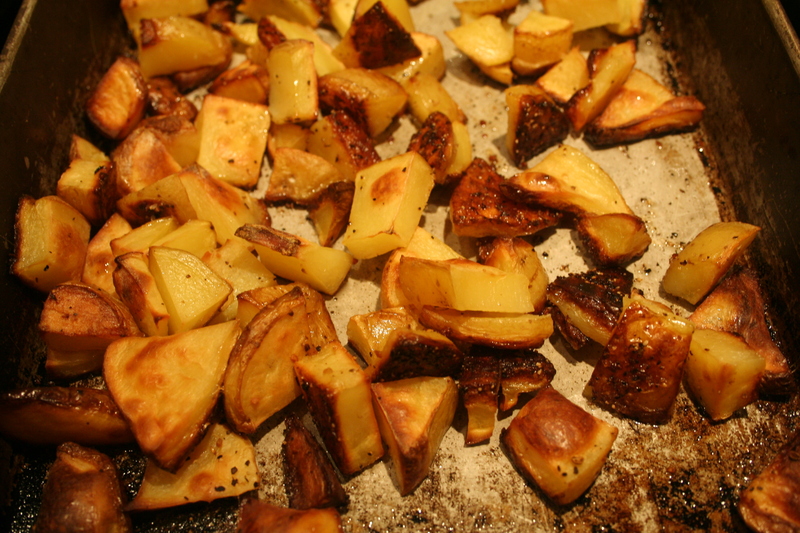 From here, you are just going to dump all the potatoes out onto the cooking sheet. Give them a stir and if necessary, add more oil and seasoning to the bunch. You should be able to look at those potatoes and know they are seasoned – that’s usually how I figure out if I’ve put enough on. However – if you feel like you have seasoned them enough, stop. You can always add more seasoning but you can’t take seasoning AWAY. Good rule of thumb in the cuisine. Look at those beauties ! 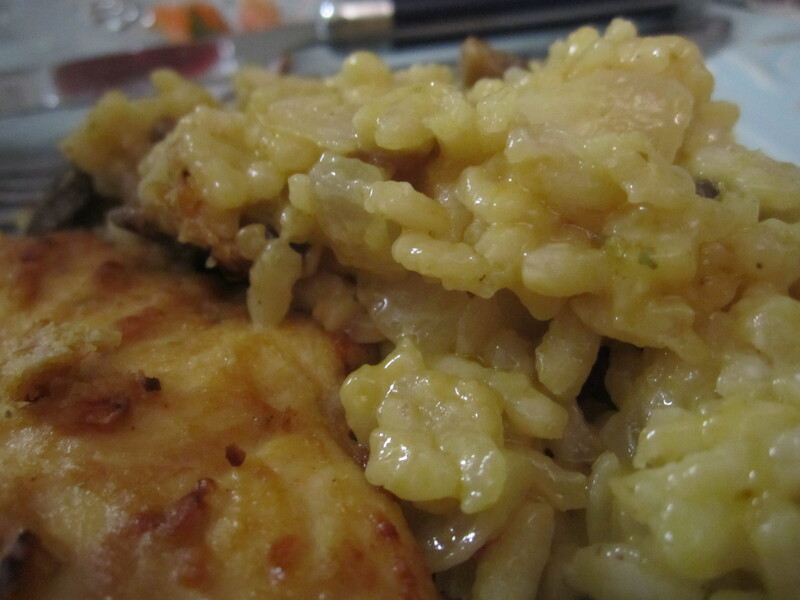 Melt 2 tbsp butter to a large skillet over medium high heat. 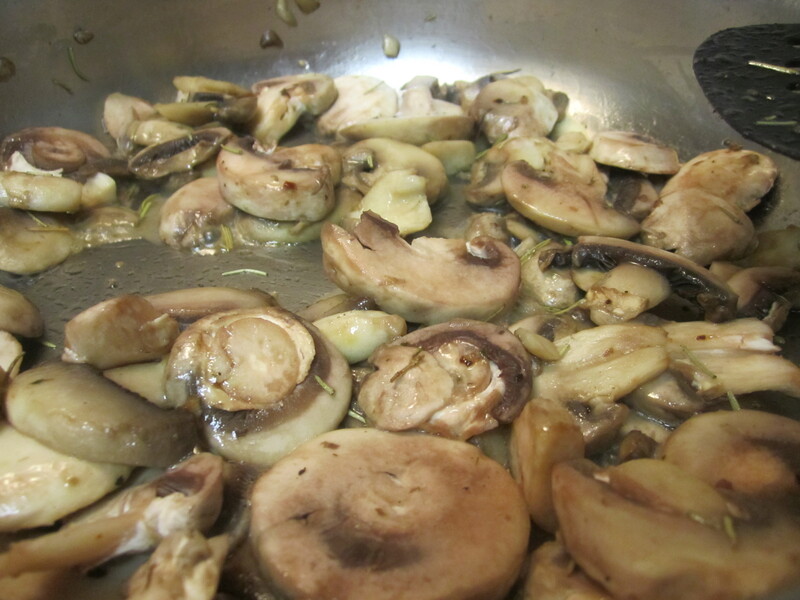 Once the pan is nice and hot (and the butter is beginning to brown), add about 1/2 the mushrooms and cook until tender and slightly brown. I like to put them in the pan in slices, and then quarter them about halfway through cooking. I find that this releases more water from the mushrooms and helps them cook better. Transfer mushrooms to a medium bowl. Continue (adding butter !) 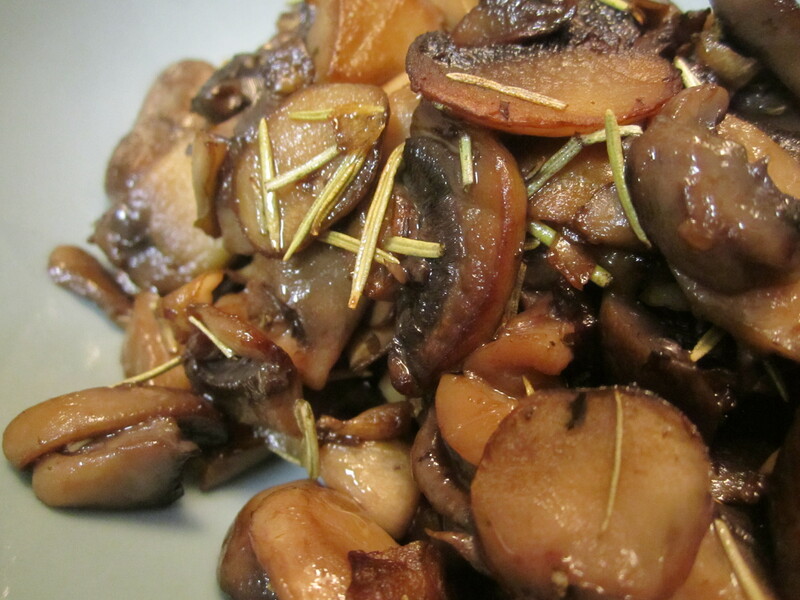 until mushrooms are all cooked and sprinkle with rosemary. 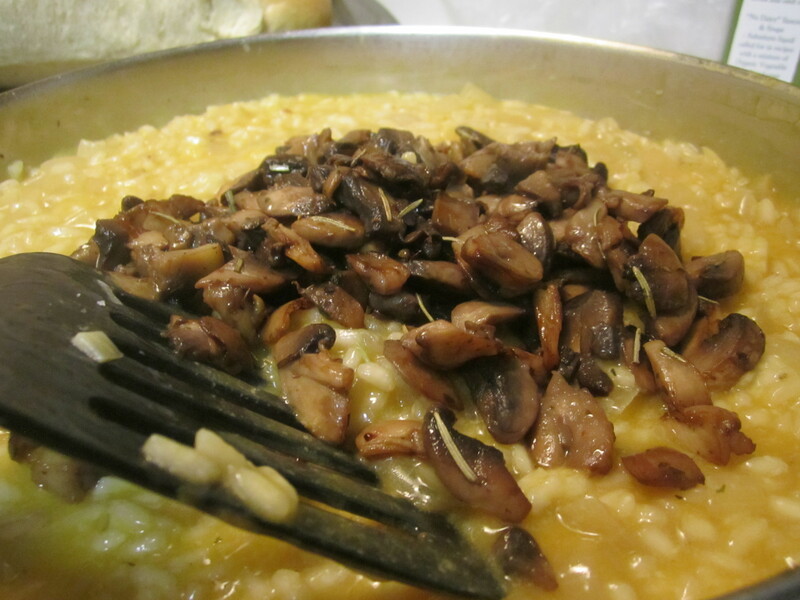 Add olive oil to a large saucepan – I recommend using the SAME PAN as the mushrooms as it will add lots of delicious flavor to the risotto – and sprinkle with salt. 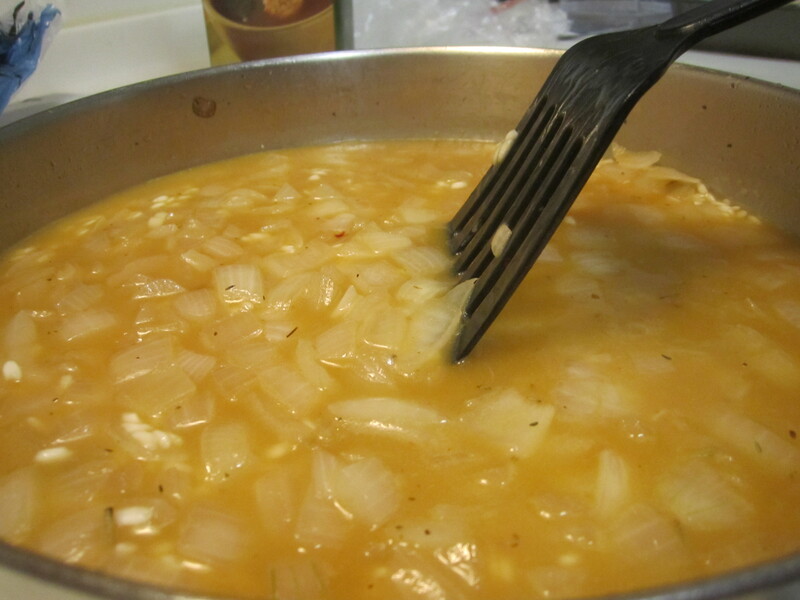 Add the onions and cook until translucent and tender. 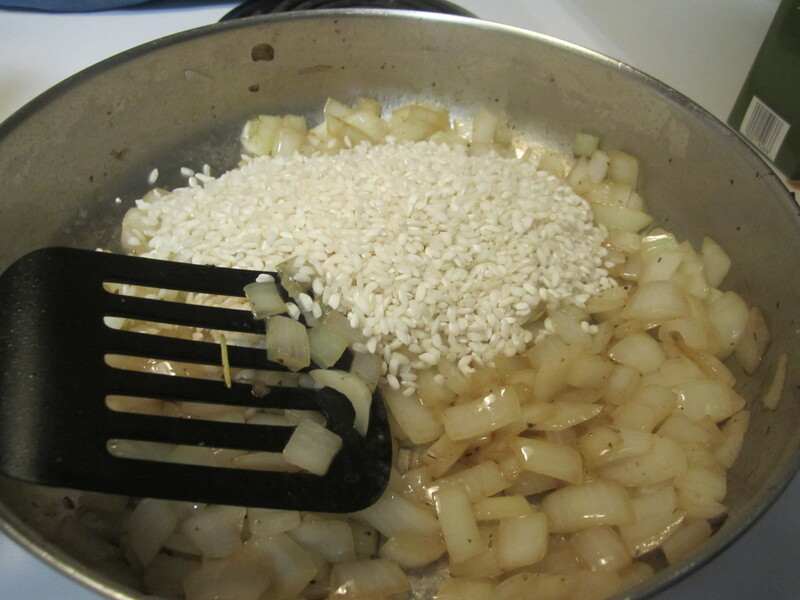 Add the rice, stirring until toasted (it will turn somewhat clear and a few grains will have a light brown color.) Add the broth and continue to stir stir stir. I usually just add broth until the rice is tender, but 7 cups should be enough. Add the broth one cup (or so) at a time, and remember to KEEP. STIRRING. This is very important – if you stop, you could burn the rice, and that would be ever so disappointing, wouldn’t it ? 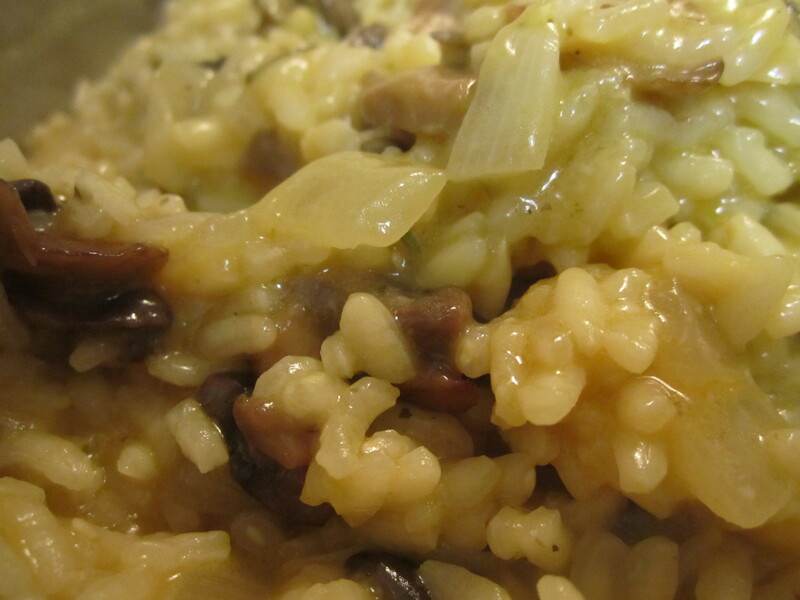 When the rice is about halfway cooked (you’ll have maybe 2ish cups of broth left), add the mushrooms. 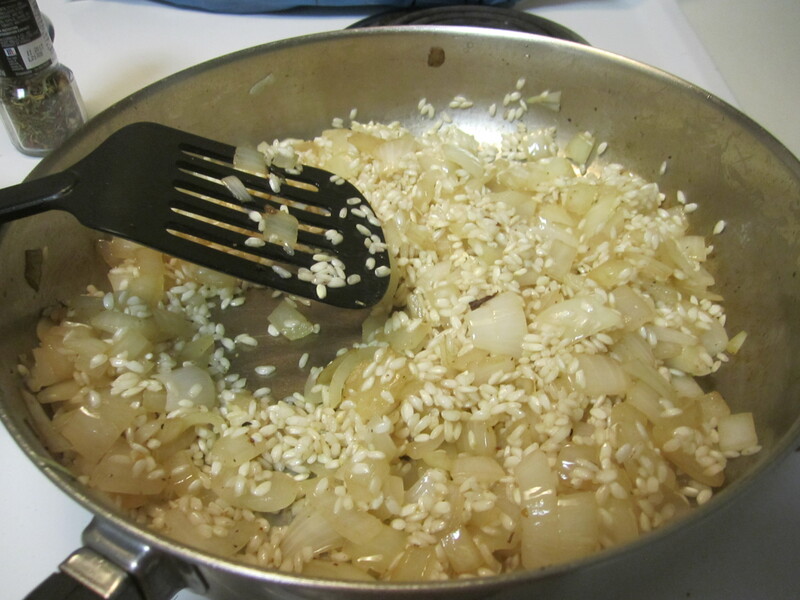 Once the broth is out, the rice is essentially cooked, add the wine and the parmesan cheese and rosemary/salt/pepper/seasonings that you enjoy.